Countless meetings are held in the Netherlands every year. Driving4U helps you find appropriate solutions for both local and foreign clients. Leading up to the event we will advise you on the locations, travel times, routes and appropriate departure times. This is to ensure that every aspect of the transfer has been professionally calibrated. Our planning department will be working together with the respective organisations so we can assure unforeseen developments are handled accordingly. We will make your challenge ours. We have an elaborate fleet of vehicles at our disposal. 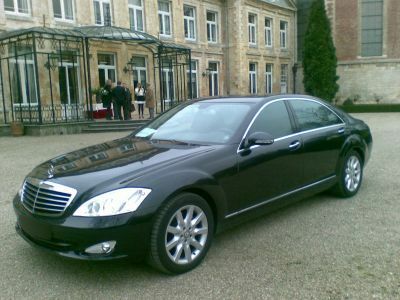 From the luxurious Mercedes-Benz S-Class and E-Class to the V-Class and Sprinter minivans for eight passengers. We can also arrange a wide array of touring-cars for larger groups. Safe, quick and comfortable from meeting to meeting, while the executive can continue his work. Al of our drivers speak fluent English, are always dressed in costume and are happy to be at your service. If requested we can deliver you a CCV-D1/2 certified driver. These drivers have been put trough an extensive internationally recognised drivers training to ensure they can handle any situation and ensure your safety. For extra safety all our cars are equipped with black-box tracking hardware.